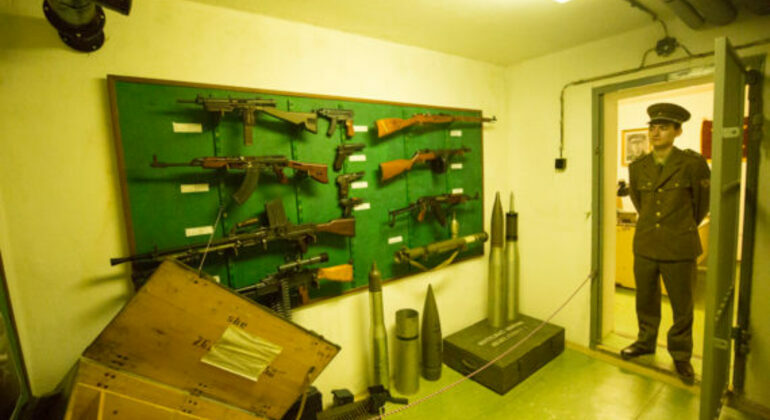 We relate the era of the communist dictatorship that lasted 4 decades, and we entered a nuclear shelter bunker touring the armament room, operating room, spy room or listening room, the air cleaning room and much more. We will begin with the consequences of the end of the 2nd World War and the strategies used by the radical communists to ascend to power after the one known as The Prague coup, and how a dictatorial regime that lasted more than 40 years was imposed. We will continue with the spring of Prague. Passing through two steel doors we will enter the interior of the bunker, and we will see its rooms: the armament, espionage or listening room, interrogation room, emergency exit tunnel, etc. We will end with the velvet revolution and the return of democracy. A tour that without a doubt, will not leave you indifferent. VIP because most of our tours are exclusive and all with small groups, in this tour there is a maximum of 10 people, without a speaker or headphones, personalized attention.